Popular Show of Star Plus Ishqbaaaz is Setting New Bench Mark because of their Attempt to Start Unique Story Line not dragging the Same Story. 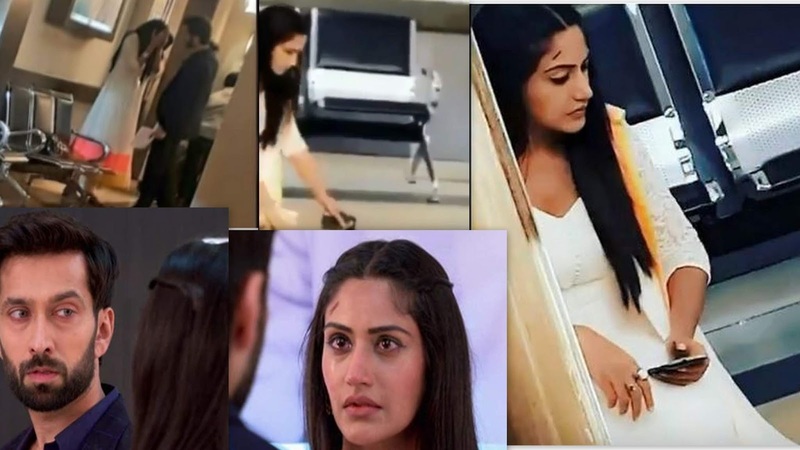 However, so many Fans are Angry and they are Showing Their Anger on Social Media Because they want Their Favorite Couple Shivaay (Nakuul Mehta) -Anika (Surbhi Chandna) Together But Now In the Show, they don’t Know Each Other and Their Story Will Start Again. In the upcoming episode of Star Plus serial Ishqbaaz, Fans will finally get to see the glimpses of their old Shivaay and Anika Yes Tonight we will See Shivaay and Anika will stand strong against each other. We have seen in the latest episode, Shivaay’s Roka Ceremony with Tia (Navina Bole) and Anika Finally enters the Oberoi Mansion To get The Job. After a Small Hit and Miss Shivaay and Anika feel the strong and unusual connection. When She comes Inside the Oberoi Mansion Tia's Chunri accidently falls over Anika. Shiva came to Anika and pulls off the Chunri from Her. They Felt a Pull towards Each Other. Tashan-baazi Avatar in the hospital. Apparently, due to Priyanka Anika and Shivaay will come in front of each other in the hospital and will get into an argument that will Lead Them To Point Over their Upbringing. Shivaay will break Anika's phone. Shivaay will Be Seen to Threaten Anika and Both will vow to never see each other again. But The destiny Will bring Shivaay and Anika in front of each other again. Stay tuned into Tellyworld.in for more updates, upcoming Stories, Gossips, spoilers, Tv Segment Written Updates on Ishqbaaz serial.